Please complete the form below and your enquiry will be sent directly to Chem-Dry Overberg via email. Your enquiry has been sent to Chem-Dry Overberg. 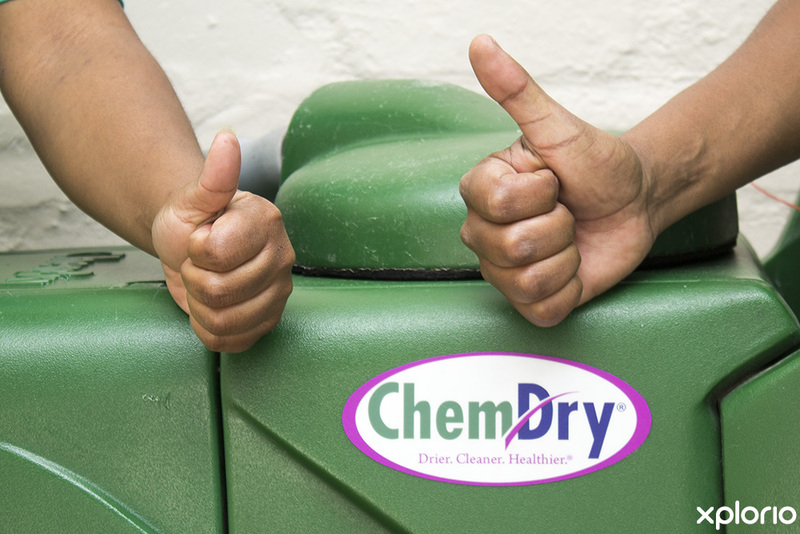 Chem-Dry Overberg is powered by world-wide company, Chem-Dry. 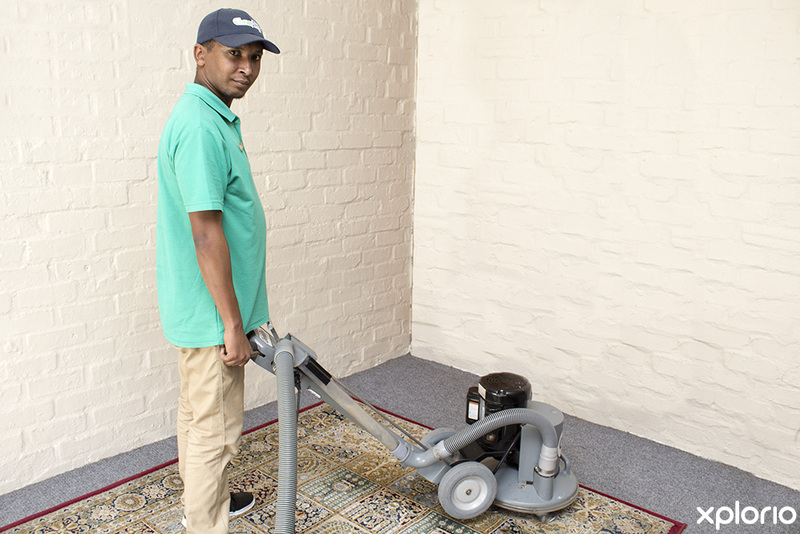 This Kleinmond based team of industrial cleaning wizards service homes and businesses in the greater Overberg area and strive to uphold the service excellence and client satisfaction that comes with the Chem-Dry name. 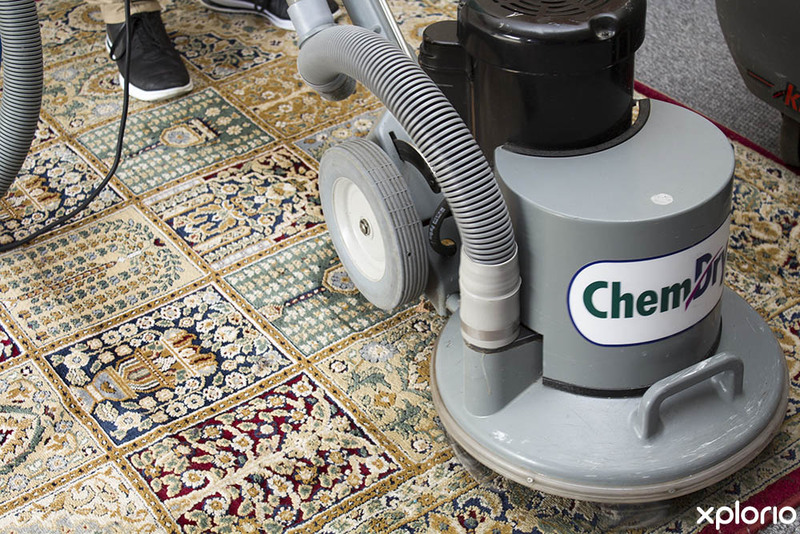 No job is too big or too small and the team use a highly efficient hot carbonating extraction process that will perform miracles on your stained, smelly or tired looking carpets, upholstery and curtains. 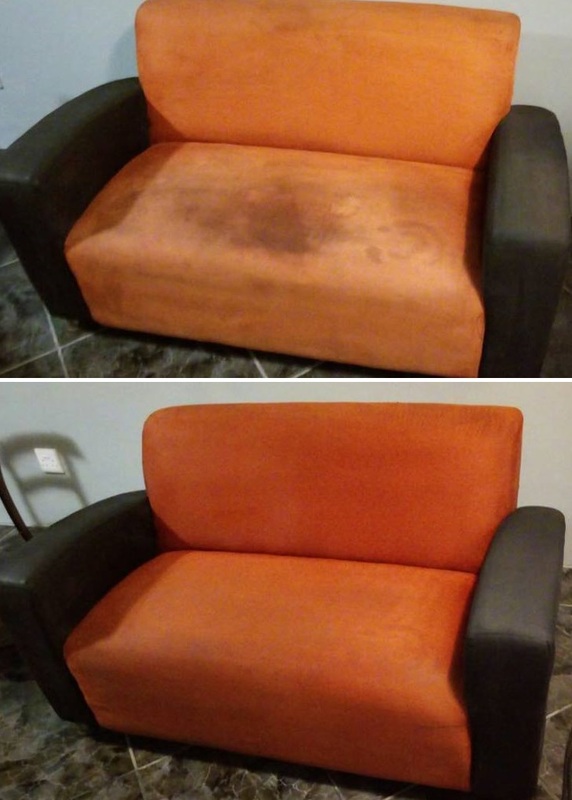 Chem-Dry Overberg also offers a professional leather upholstery cleaning service that revives tired leather leaving it looking as good as new. 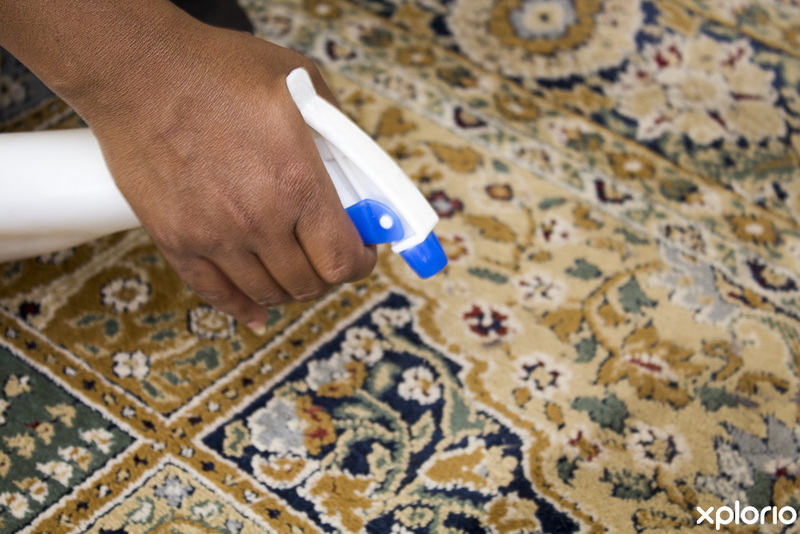 There is also a handy, cleaning product designed to remove 98% of the troublesome dust mites and other allergen residue that negatively affect our health. 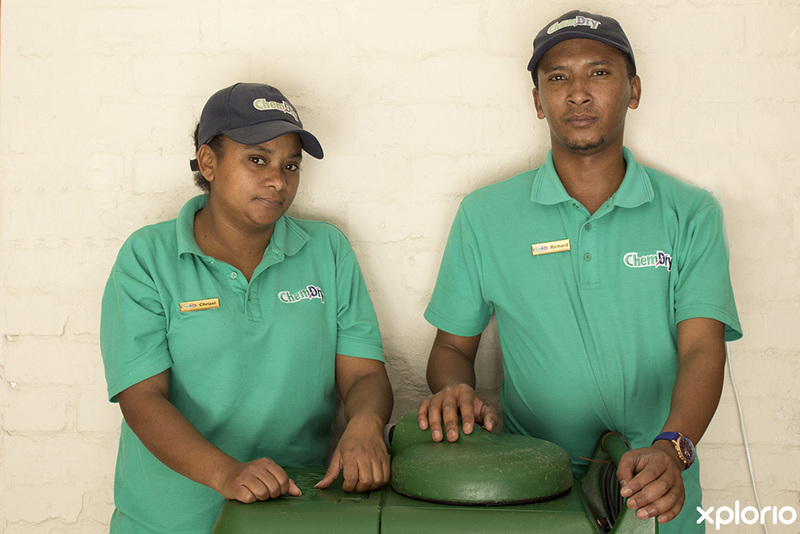 Click on ‘More Info’ below to find out more about Chem-Dry Overberg. 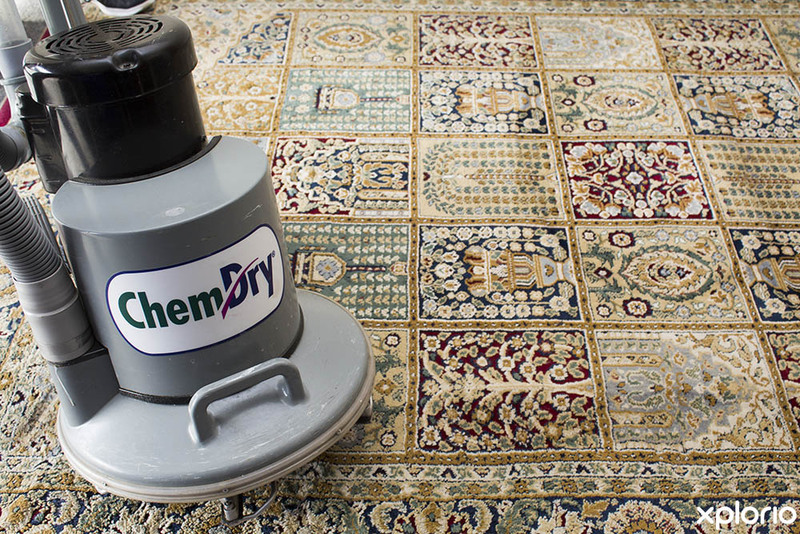 The Chem-Dry franchise is currently represented in over 50 countries and has been taking care of South Africa's carpet and upholstery cleaning needs for about 30 years. 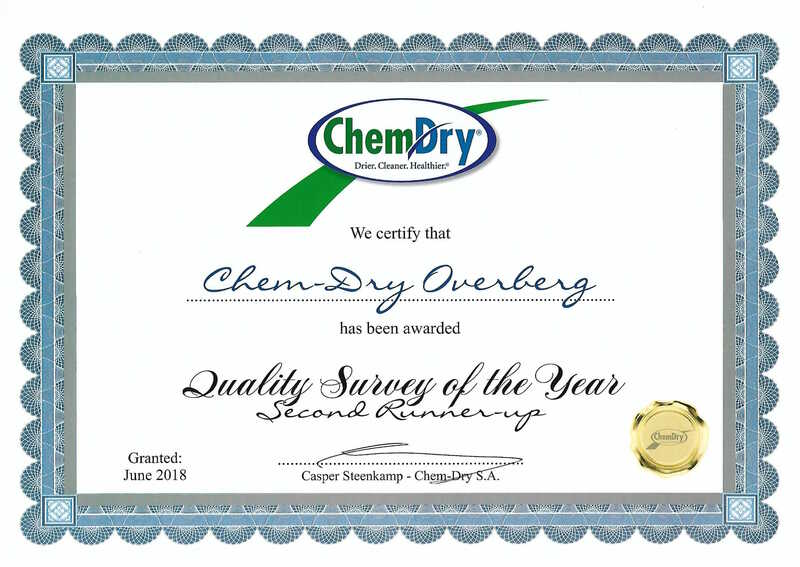 Chem-Dry Overberg strives to maintain this service excellence throughout the greater Overberg region. 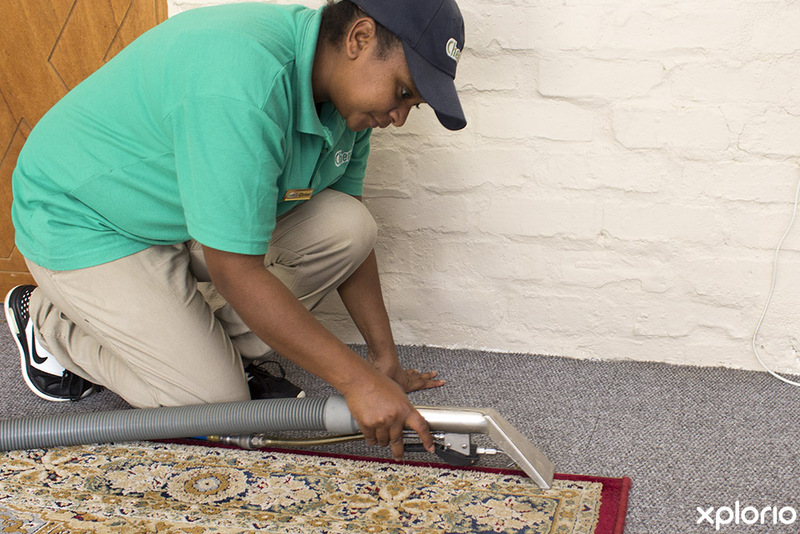 Chem-Dry Overberg will take care of all your carpet cleaning needs, from wall-to-wall carpeting in office blocks to the small kilim rug in your home. Chem-Dry Overberg uses a special environmentally friendly product that will help reduce allergy causing dirt and germs. 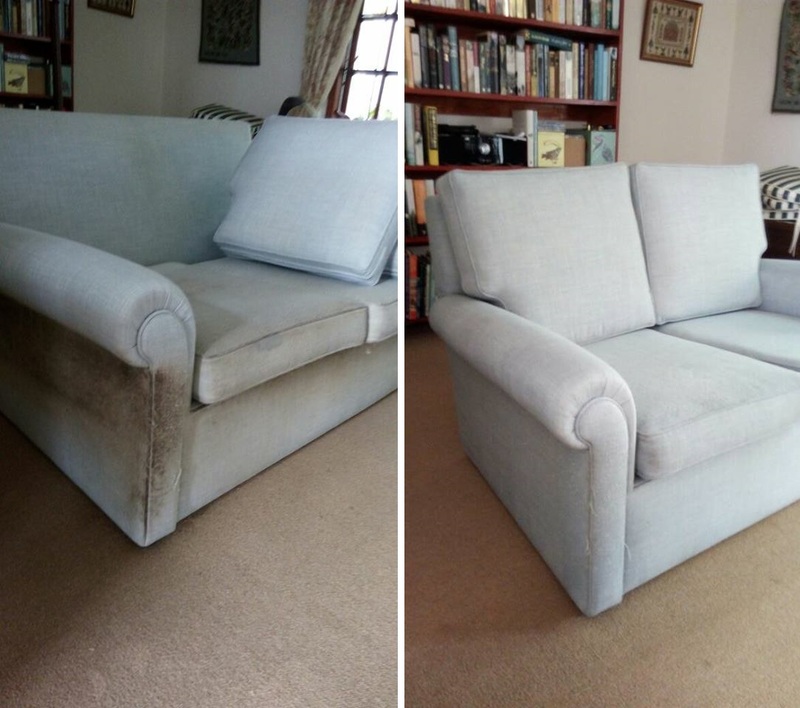 Chem-Dry Overberg uses upholstery cleaning products will not only improve the condition of your furniture but also help maintain the fabric or leather while protecting it from the risk of future stains. Chem-Dry Overberg has developed a Drapery Dry Cleaning Solution that is non-toxic and safe to use on most types of fabric. What’s more is, your curtains will be cleaned without having to be taken down. 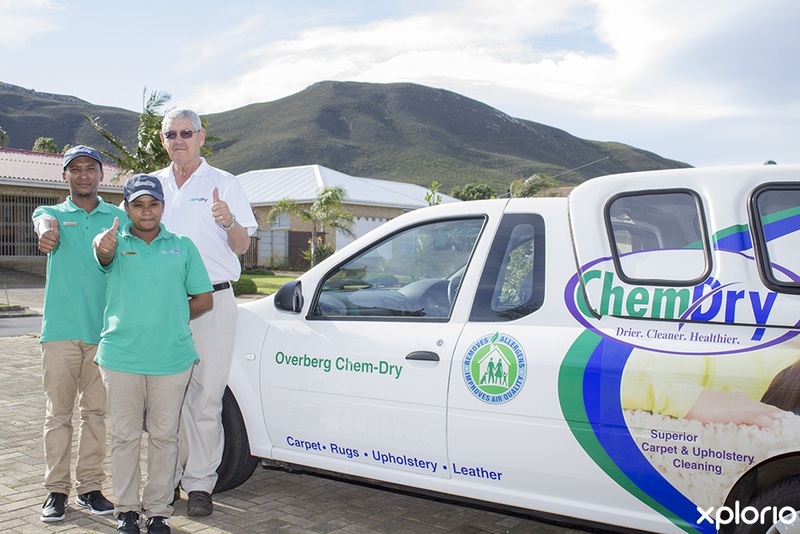 Chem-Dry Overberg uses a safe and effective cleaning product that will feed your leather upholstery and restore its natural vibrancy and shine. 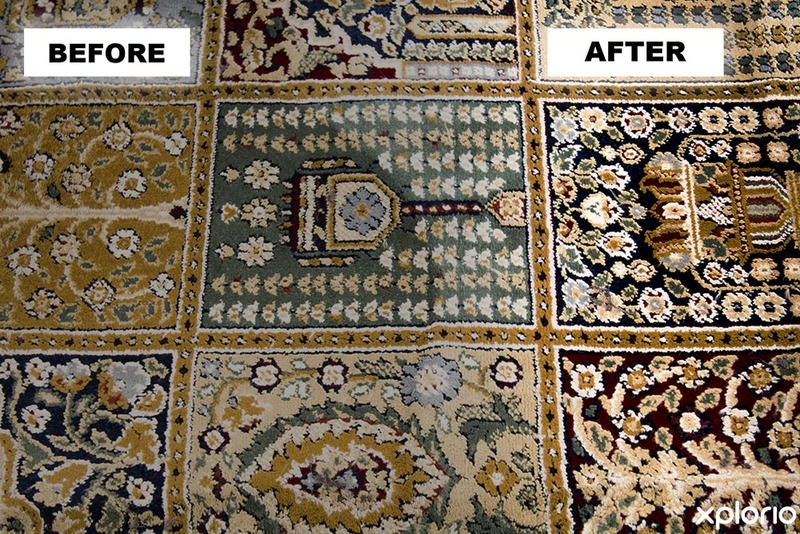 Get ready to be grossed out...did you know that carpets can harbour around 200,000 bacteria on every square inch and that the average mattress doubles its weight over a 10 year period due to dust mite infestation? 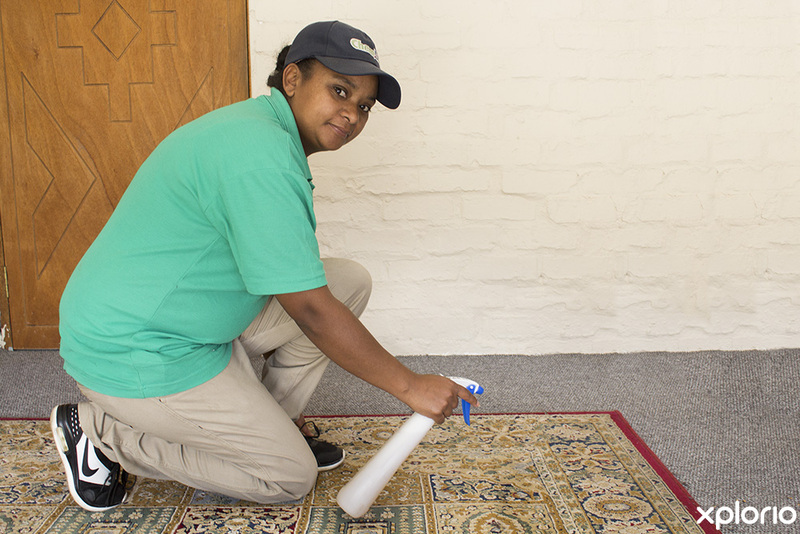 Ewwwww….all the more reason to call Chem-Dry Overberg immediately to bust the dust, disinfect and revive your carpets, upholstery and curtaining.